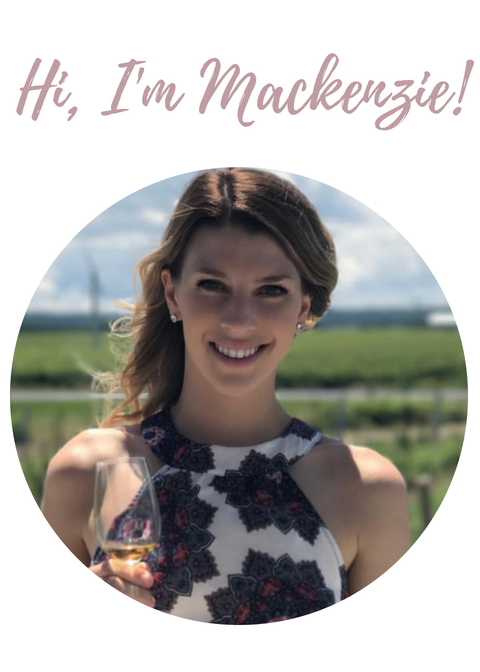 Not only do I love being inspired by other wine and food blogs, but there are certain websites that I rely on often that I thought I’d share with you. In Ontario, LCBO is dominant for wine, sparkling wine, craft beer, cider, scotch, and any other liqueur you can think of. This is the main stay liquor store. Even though the Beer Store, Wine Rack, and other smaller stores exist, they do not boast the variety that LCBO does. LCBO also has their ‘Food and Drink’ magazine which pairs their wines with different season-fresh recipes and….it’s free! It’s actually a great magazine. They also have a ‘Vintages’ magazine that features a different country’s (or multiple countries sometimes) wine and what the region has to offer. Between their website and their app, I can tell what wines they carry and if they have them in stock at a particular store. I’m all for the LCBO when I’m back in Ontario. And all for their website all the time. Well, since I live in Montreal now, SAQ is the main digs for alcohol. So far, I’ve been really impressed with their selection of vintage wines and sparkling wines (even Champagnes) in the ‘cellier’ (wine cellar). If you find a Signature SAQ, this is where you’ll find higher end alcohol shopping. Most of the time, as I’m not filthy rich and ready to spend $1300 on a mini bottle of Sauternes, I just enjoy comparing the prices between regions and ogling over things I can’t have. They have their own magazine as well called ‘Cellier’, which has articles on different sommeliers or notable wine figures, as well as highlighting vintages to try and new areas to watch out for (similar to LCBO’s ‘Food and Drink’ but lacks the strong recipe or pairing section). I use this site to see what’s available at the SAQ, but sometimes I find I have to go to several of them to actually find the bottle I’m looking for. Good thing there is one on almost every block! Like it says in the name all recipes! This is almost like Pinterest, but focuses solely on recipes. Whenever you google a recipe, All Recipes seems to always come up first. The reason? Probably because they pay a lot for advertising on google, but I like to think it’s because they have the most easy-to-follow, best tasting recipe. You can create your own profile (like Pinterest) and save recipes to your profile to try at a later date. The other great thing about this site is it doesn’t just have ingredients, instructions, and a few perfectly staged photographs of the meal, but it actually gives you an instructional video to follow if that’s more your style. And believe me, sometimes I need the video! It’s also nice to be able to see other people’s comments about the recipes right below in case I decide to spend 3 hours making an eggplant parmesan that won’t turn out properly without a recommended 30 extra minutes in the oven. Similar to All Recipes, because you can have a little profile going as well. But, everyone knows the Food Network is as fancy as following a cooking show gets. I like to go “all-out” at least one day a week, and these foodies inspire me with some tasty creations. If I’m on a health kick, I’ll check their healthy eating section, and if I’m leaving the house for the day but need dinner to be ready when I’m back, I’ll check those slow cooker recipes. Most recipe sites are quite similar, but Food Network has a nice layout that helps me make a good decision on the spot. This is the ultimate mashup of wines or drinks and recipes, traveling, chefs, and home & design. What more could you ask for? This site features top chef’s and their season-fresh recipes, the Food & Wine blog, trends in drinks, must-try drink recipes, gift ideas for wine lovers, trips to take to experience wine, kitchen designs, video tips, and so much more. This site is so many gifts wrapped in one. There are certain wines we might not have here in the SAQ, or in Ontario at the LCBO, because often times those particular liquor stores are trying mostly to feature local options, but it’s worth a try to check out their recommendations. Food & Wine offers world class chef’s opinions and recipes, and world class sommelier’s wine suggestions. If anyone who normally buys me a Christmas gift is reading this…please look at the gifts for the wine lover section!! !